Body & Soul is a Brighton and Hove based health and beauty day spa. 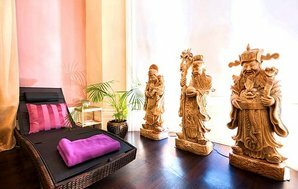 We are centrally located and offer a peaceful and tranquil urban retreat where you can relax and try our soothing, uplifting and revitalising treatments. We have built our reputation on professionalism, quality of service and by employing highly trained and qualified therapists. Established for over eighteen years, we provide one of the most comprehensive choices of treatments available under one roof.